Only a hint of lemon is needed to add zest to food and enhance delicate flavours. While lemony herbs have a more subtle taste compared to pure lemon juice they are just as useful as a natural flavouring. Lemon grass, lemon verbena, lemon balm, and lemon thyme can be used in salads and salad dressings, herbal teas and refreshing cool drinks, in herb vinegars, and in a huge variety of fish, chicken and meat dishes. While their taste is not strong enough to be used as a substitute for lemon, they add their own distinctive character and can also complement the use of lemons in cooking. Using lemon flavoured herbs is not just about the taste, but also the fragrance. Lemon scented herbs have a clear, fresh aroma that uplifts and energises. Besides their culinary use, they can be added to pot pourri, act as insect repellents and are natural air fresheners. Lemon grass (Cymbopogon citratus) is a clump forming perennial that grows up to 1 metre high, with strongly scented lemon leaves. It grows best in full sun, in fertile, well-drained soil and it needs plenty of water. It can also be grown in large containers. Being frost tender it dies down in winter but will come up again in spring. Cutting it right down and removing any old remaining stems will encourage it to sprout strongly. Using lemon grass: The leaves and young stems are used in South East Asian cuisine, especially with meat, curries and fish. It also makes a refreshing tea. Select young firm stalks. If they are soft or rubbery it means they are too old. Remove the tough outer leaves. The lower part of the stalk should be pale yellow (almost white) in color and this is the part that is used in Thai cooking. The upper green stem can be added to soups, stews and curries for extra flavour. To extract the most flavour, cut the stem into 5cm lengths and bruise the stem or make superficial cuts along the stem. This also helps to release the lemon flavour. Add these pieces to the curry or other dishes but remove before serving. Another way of using lemon grass is to cut the stalk into thin slices and put them in a food processor until the stalk is thoroughly pulped. Add this to your recipe. Bear in mind that Lemon grass is very fibrous and stringy so it needs to be thoroughly boiled to soften it. Lemon verbena (Aloysia triphylla) has the strongest lemon taste and fragrance of all the lemony herbs. It is a large perennial shrub that can grow between 3 to 7 metres and has sprays of delicate white flowers in summer. It can be left to grow into an informal shrub or clipped and shaped. Using lemon verbena: Add the fresh leaves to fish and poultry dishes, vegetable marinades, cooked rice just before serving, salad dressings, jams, and desserts. The leaf is tough so it should be minced finely before adding or left whole and removed before serving. The leaves dry well so it’s a good idea to dry a batch in summer for use in winter when the bush has died down. Dried leaves can be crumbled before adding to recipes. Fresh or dried leaves make delicious herbal and iced teas as well as summery drinks. Chop up leaves before putting them in drinks. Make a refreshing tea by combining dried or fresh leaves with pineapple and apple mint. Mix with other lemon scented herbs or with rosemary and thyme when making herb vinegars. The leaves flavour desserts as well, including fruit salad, custard, jellies, sorbet, and ice cream. Finely chopped lemon verbena can be used in place of lemon zest in recipes. Make a lemon scented sugar by putting 6 lemon verbena leaves in a cup and covering them with sugar and placing the cup in a covered jar or container. The lemon sugar can be sprinkled over the batter of muffins and cakes before baking, added to syrups and stewed fruit. Crumbled dried leaves can also be added to the batters of carrot, banana, or zucchini bread. 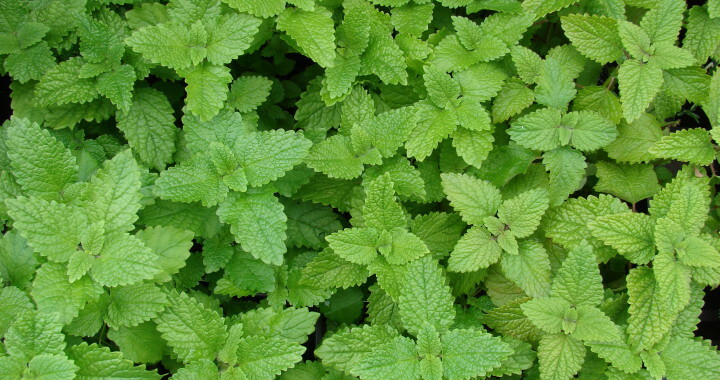 Lemon Balm (Melissa officinalis) is a low growing perennial (30cm) that grows in moist, fertile soil and does best if it can receive morning sun and afternoon shade. Although it is a member of the mint family, it is not invasive. It is best to use fresh leaves as dried leaves quickly lose their aroma. The best way to preserve lemon balm is to put the leaves in water in ice cube trays and when frozen place the cubes in freezer bags. Using lemon balm: The leaves have a delicate taste so you need to use more than normal, compared to strong culinary herbs. Crush or bruise the fresh leaves to release the lemony flavour. Add finely chopped fresh leaves to salads, to lightly flavour egg dishes, as a garnish for soft cheese, incorporated into white sauce for fish, mayonnaise, marinades, vegetable soup and stews, poultry and pork. Instead of sage, use chopped lemon balm leaves in stuffing for pork, veal, or for poultry. On the sweet side, add to fruit salads, jellies, jams and custards. Use sprigs in herbal vinegars, especially tarragon. Lemon balm tea is an excellent digestive and should be drunk after a meal. Use only fresh leaves in infusions as the volatile oil tends to disappear during the drying process. The tea can be sweetened with honey. Crushed leaves add flavour to summer punches and soft drinks. Lemon thyme (Thymus x citriodorus) is a small, shrubby perennial that grows to 30cm, with small, bright green-yellow leaves that are lemon scented and pale mauve flowers in spring. Lemon Thyme likes full sun and gritty soil that drains well. It is an excellent herb for growing in containers. It is frost hardy but likes protection and if you harvest regularly keep a pot or two in a warm sunny spot for a good supply of leaves. Using lemon thyme: It is a robust herb that forms part of the traditional Bouquet Garni with bay leaf and parsley and does not lose its flavour in slow cooked dishes, such as casseroles, stews and potjiekos. This herb goes particularly well with chicken. When roasting chicken stuff the cavity with half a lemon, half a peeled onion and several sprigs of thyme and one or two sprigs of rosemary. Fried chicken is delicious if dried thyme is mixed with seasoned breadcrumbs and used to coat the chicken pieces. Sprigs of thyme can also be added to chicken casseroles. This could be used for fish as well. Lamb, pork, beef, game, veal and sausages also combine well with thyme. Thyme stalks are very tough and its best to remove the leaves from the stems or chop up the leaves and stems very finely. Otherwise just use whole sprigs and remove them after cooking. A fairly successful way of removing the leaves is to run them through the tines of a fork. Sprinkle thyme leaves over salad, incorporate the chopped leaves in a vinaigrette dressing, add to a salsa, to herb butters, to mayonnaise with garlic chives, to sauces and marinades, as well as to egg and cheese dishes. They add zest to vegetables such as carrots, potatoes, tomatoes, baked or sautéed vegetables, especially mushrooms and courgettes. Posted in Culinary and tagged culinary, energises, flavour, fragrance, fresh, herbs, lemon, taste, uplift.